Although I have been a little quiet on the “creative front” my on-line friend Kaite (see Yarn Garden website details on my list to the right) has been surrounded by beads to furnish her interest in beaded dolls. 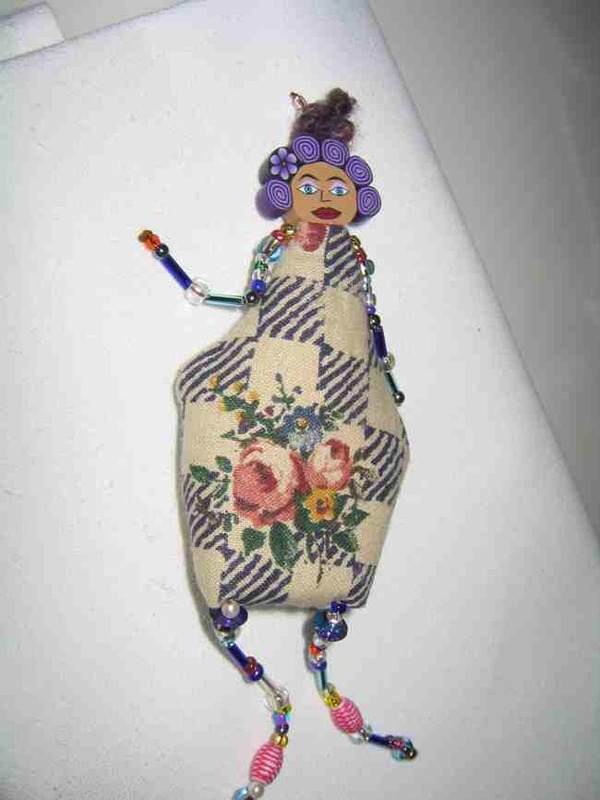 Her endeavours have caused me to reflect on the past when I made a couple of tiny dollies as brooches – here is one that was made about 5 years ago! Luckily I kept a photo, so that I can share with you. Yum yum – rumble goes my tum tum! After a hard day’s work today, I came home to find this cupcake in my letterbox!!!!! This is a special birthday treat from my on-line fibre friend Kaite. 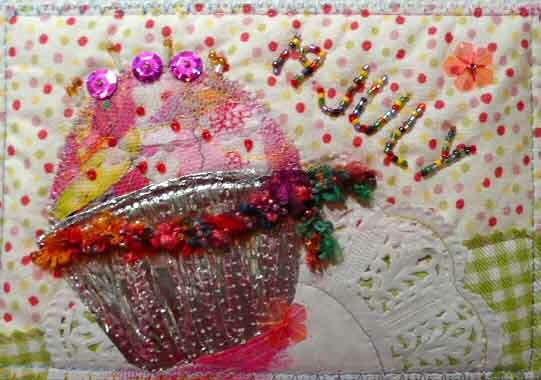 Just take a look at the TLC that has gone into creating this gorgeous birthday postcard…..comprising beading beautifully added to a collage of paper, fabric, yarns, and foil – all ingredients for a high-rise cupcake that wants me to want to eat it. This is one cullinary delight, which being a colourful reminder of my birthday, will take pride of place on my pin-up board in my sewing room. As my world of on-line fibre friendships open up, I am amazed by the support and friendship that is encountered along the way. It certainly adds another dimension to creativity, learning, and friendship – and loads of FUN. Once a year it happens to us all. When we become a year wiser (we live in hope) and a year older! This birthday has been lovely time because my family, friends, and colleagues recognised how much textiles and fibres mean to me. Look what came my way! Yippee doo. * Gorgeous books to fuel my imagination and get me going. 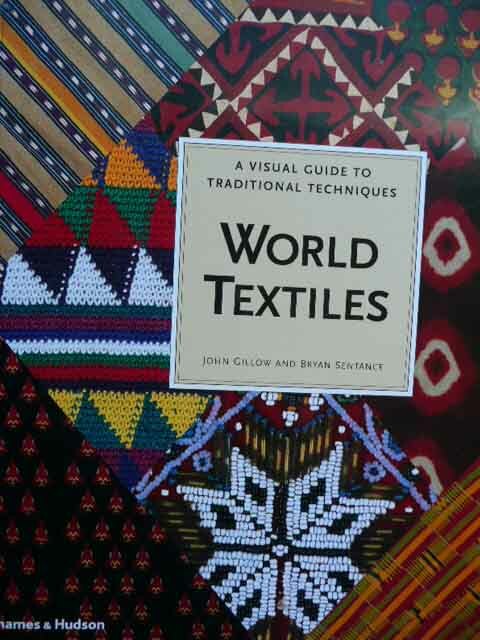 Look at these two lovelies – World Textiles, and Arts of Asia. 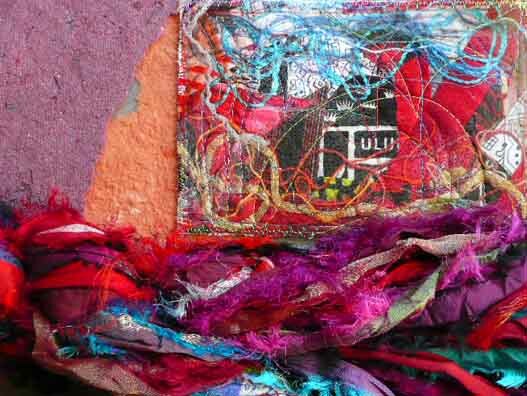 * A stunningly colourful textural postcard from my on-line fibre friend Kaite (and some yummy paper pieces too). * Sumptuous silk yarn made in Nepal came from my friend Doe. Colour and movement are in the air, giving good vibes for the year ahead. I feel like I am dancing with the stars. And lastly, if you click on WORKSHOPS you can get details of the next two workshops that I will be tutoring. I do welcome hearing your thoughts about any workshops and/or techniques you are interested in learning about. Remember -although living in Sydney, I am willing to travel to conduct workshops. It would be great to hear from you. 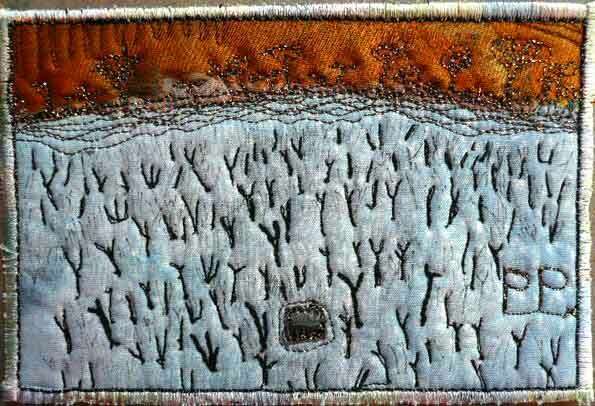 Belonging to the Aus/NZ quilters on-line group has warmed up wintertime with new challenges! One was to make sets of inches, themed GREEN and mail to seven members. And then I opened up my own letterbox to find lots of little inches tumble from an envelope – this is my new collection received from talented members. The other challenge was a postcard – based on the theme of trees. So I made this based upon Richard Woldendorp’s photograph from his book “Abstract Earth – a view from above” . 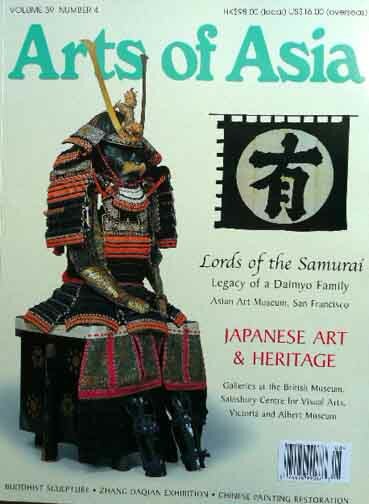 This book shows amazing arial photographs which have not been touched up in any way to enhance colour or shapes – all natural photography! As a lover of landscapes, I adore this book, so do have a look for it if you are interested in Australian landscapes photographed from the air. It would be hard for you to be disappointed in what this photographer offers your senses. Challenges such as these are enjoyable – they are respectful of the time available to us whilst stretching the imagination. What is the next challenge, I wonder? As our slightly spoilt airedale terrier cannot resist occasional visits to (not hers) bed, fabric colours were selected with this need in mind. This queen-size quilt was based upon the Stack & Whack technique – of many layers of the same piece of fabric being cut so that exactly the same profiles appeared in six pieces. These were then pieced in uniform fashion and as you can see, many surprizes appeared. So it was an intriguing quilt to make. 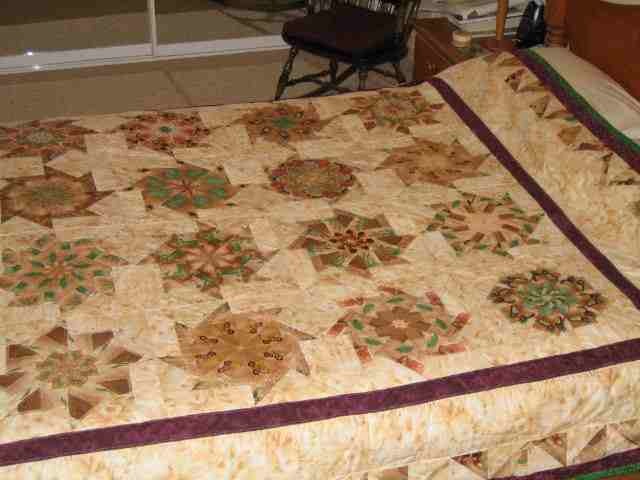 Although I made this quilt about 4 years ago, and it still is intact despite a “few” visits by our loved doggy, I thought it deserved to be posted for you to see. You see, it has been a rather quiet time for my creativity due to my loved feline – a Tonkinese female – being quite ill ….. good news though….she is recovering. Has her own little bed with warm fluffy blankets in a corner of my sewing room. Now that she is improving she likes to “inspect” my pieces of fabrics – you know those ones I have spent some time laying out carefully in a purrrticular order…..! Good news! – I have nearly finished a postcard for a Aus/NZ postcard challenge, that will soon appear on my blog. So please watch this space … in a couple of days time. This little quilt was my entry to the calendar challenge. Being completed in super-quick time due to “time starvation” and limited to fabric scraps available to me at the time, it turned out to be a whimsical fun wall quilt. Notwithstanding the stunning entries received by the Guild for this challenge, my little quilt did not reach the finals, but at least I had a go. The idea for this style of quilt was a result of an article in my favourite magazine, “Quilting Arts” which really got me going. Mmmm, I need more time to have another go – cause it was rather freeing to work in this style. 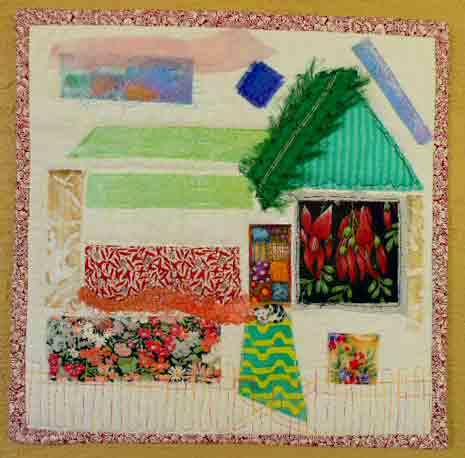 You are currently browsing the Crafty Quilting with Pamela blog archives for July, 2009.